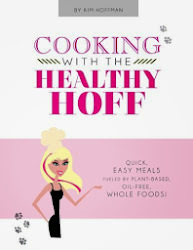 The Healthy Hoff: Event: Healthy Hoff presents Cooking with Chef Robin! Event: Healthy Hoff presents Cooking with Chef Robin! Time is running out to register - don't miss your chance to get a Limited Edition Healthy Hoff T-shirt! All food will be non-GMO and organic as available. In an effort to keep costs low, please bring a cutting board, apron and your favorite chopping knife. Did I mention we get to eat our creations?!?! Who cares! You don't need to be Vegan to enjoy this class. Take this opportunity to learn something new, broaden your culinary skills and increase your weekly menu options. Remember, going meatless just once a week may reduce your risk of chronic, preventable conditions such as cancer, heart disease, diabetes and obesity. Check this out to see how going meatless just once a week can be beneficial! Want to learn more about Cooking with C.A.R.E? 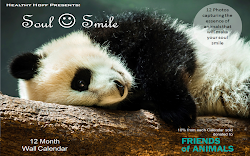 Sign-up for the Cooking with C.A.R.E newsletter or check out Chef Robin's Blog!